HALIFAX, NS – Soft’n Slo Squishies™ from ORB™, one of the fastest growing toy and collectible companies in the world, was awarded a UK Toy and Supplier of the Year Award for Craze of the Year at the Toy Industry Awards presented by the British Toy and Hobby Association (BTHA) and the Toy Retailers Association on January 22, 2019. Judged by a panel of nationwide industry experts from BTHA membership, the BTHA Council and the toy industry press, the Toy Industry Awards recognize exceptional players within the independent, specialist multiple, grocer, department store and online retail channels. This is the first international award for ORB™ and Soft’n Slo Squishies™ which comes only days after two of the brand’s collectibles were featured in Ariana Grande’s new music video for “7 rings”. 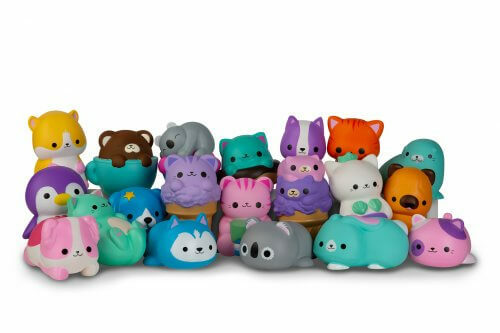 ORB™ heads to Toy Fair New York next month, from February 16-19, where they will showcase the latest from Soft’n Slo Squishies™ and ORB™’s more than 21 brands.